OMG Posters! 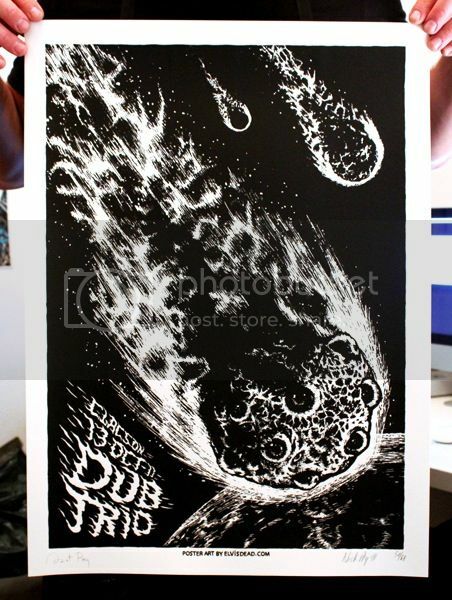 » Archive Concert Posters by Elvisdead - OMG Posters! 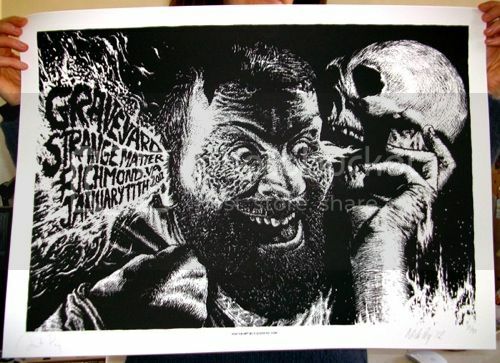 James Flames just gave me the heads up about some poster artists that are new to me, France’s Elvisdead. Their designs are awesome, and according to James everything looks amazing in person and is well packaged. These are limited, screenprinted, and fairly inexpensive. Visit Elvisdead.com. these are some cool posters! Wow, these are fantastic. I love the limited use of color and the black and white scratch board looking style. Keep posting more about “unknown” artists! 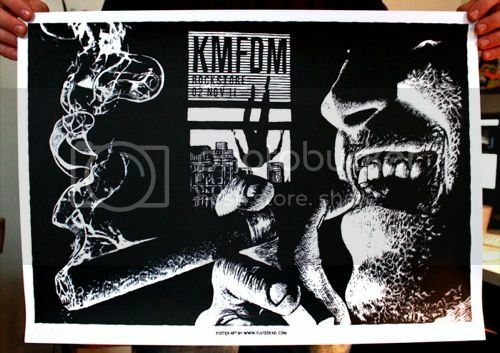 I seriously can not stop staring at the KMFDM poster – it’s so insane in person.